Two versatile channels with a power section that offers four configurations from 2 to 42 watts – bedroom to gig, no problems. 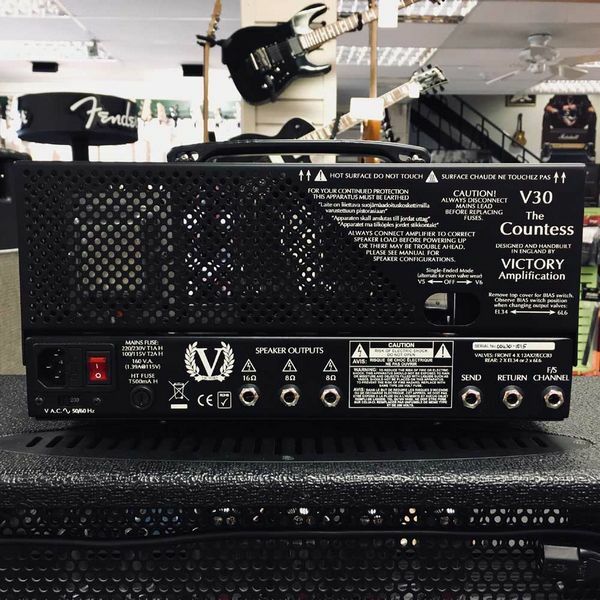 V30 The Countess is the little amp with a huge voice to cover all your playing needs. The ultimate package of portability and flexibility. 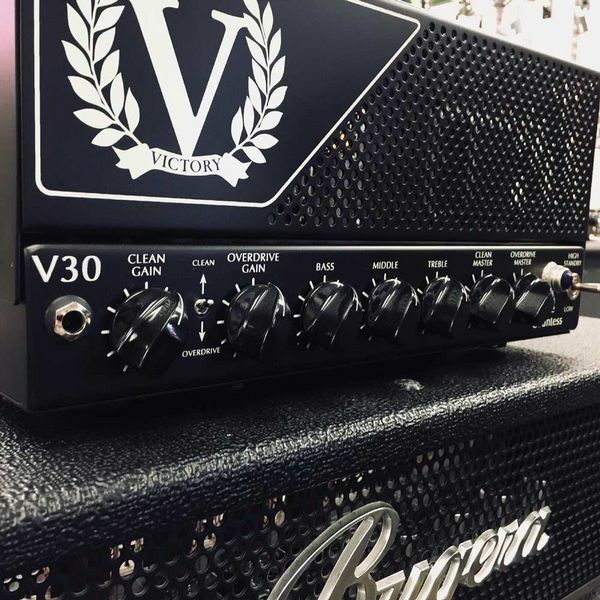 Clean and OD channels offer a huge range of tones from loud, high-headroom cleans to saturated rock and metal drive at any level. These are very distinct clean and dirty channels. Pedals? No problem! Separate masters for the two channels enable you to balance your clean and overdrive sounds perfectly. 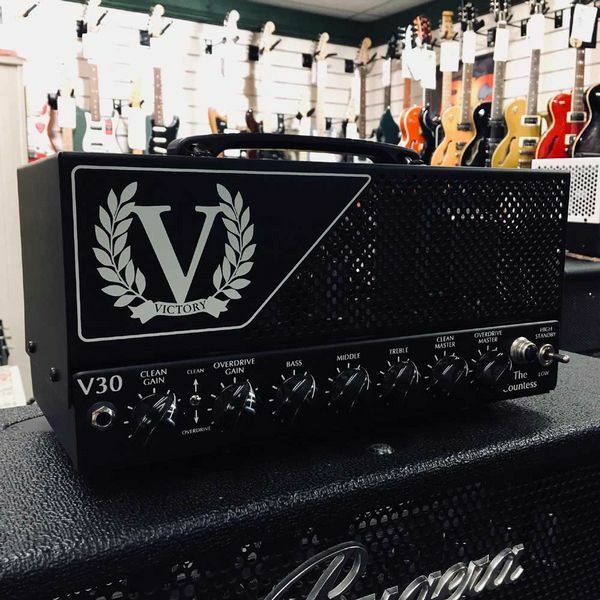 And you'll be amazed at the clean headroom from this 'little' box…. .
V30 gives you the option of running either EL34 or 6L6 power valves. 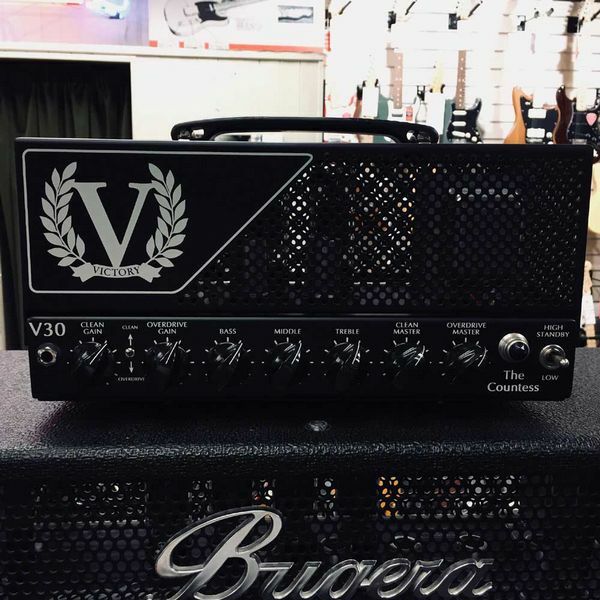 They offer subtly different tonal characteristics in terms of power stage overdrive and also overall frequency response. Notice we said subtle! There's a bias range switch to get you in the right ballpark, but precise bias adjustment is also advised whenever you change power valves. The front panel switch offers a low-power mode for around 7 watts. 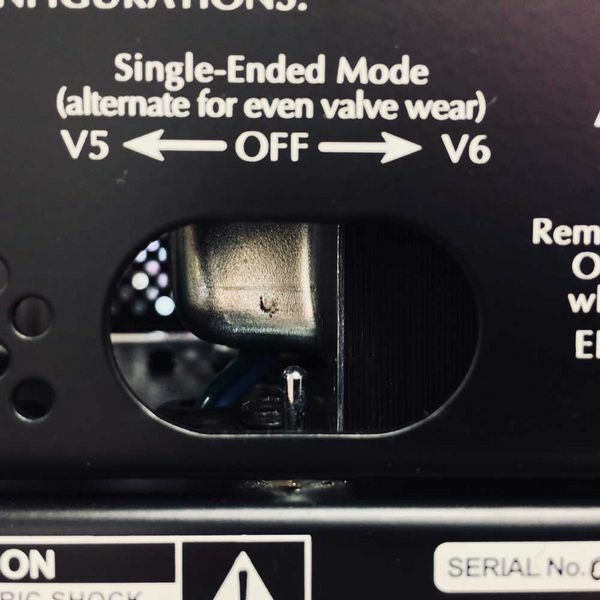 In addition, you can use the single-ended mode (switch on the rear panel) which selects to just one or other of the power valves in Class A operation (use them evenly to keep the wear roughly equal). Low power and single-ended mode together will take you down below 1 watt RMS. This preowned amplifier is in very good condition and does not show any cosmetic signs of wear and tear. Some of the control knobs do crackle when turned.